Home » Handpan » Hang Drum? What is a Hang Drum? 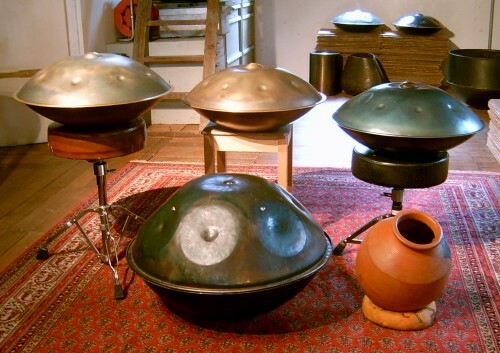 In November 1999, instrument builders Felix Rohner and Sabina Schärer of PANArt created the first Hang (Plural: Hanghang) prototype in Bern, Switzerland. Hang means “hand” in the Bernese German language, and is pronounced “hung or hong”. The development of the Hang began after years of research on the making of, tuning and developing specific metals for the steelpan. Also contributing to the Hangs birth was the study of Gongs, Gamelan, Ghatam, Udu, drums and bells. Photo © Michael Paschko. Licensed under the Creative Commons Attribution-Share Alike 3.0 Unported. Original photo here. The sound sculpture has a peculiar “UFO shape” that is the result of gluing two half-shells of deep drawn, nitrated steel together at the rim. The inside of the instrument is hollow and the outside has notes and tone fields hammered into it. The top shell has a center note that is surrounded by 7-9 tone fields. The bottom shell has a tuned port centered on the bottom. The notes and tone fields are usually played with finger strikes that can be dynamic but without aggressive force. According the wikipedia, “The Hang was developed in the year 2000 and introduced at the Musikmesse Frankfurt in 2001.” PANArt’s Hang, the new instrument of the millennium, will probably go down in history as the most important acoustical instrument to develop in the 21th century. In 2002, Lark in the morning, a musician’s service outlet in the U.S.A. that specialized in hard to find musical items coined the term “hang drum” in order to market its stock of Hanghang. This new catchy name spread quickly throughout California. Eventually hang drum made its way to the World Wide Web as buskers from Haight-Ashburry to Amsterdam and other Hang playing musicians were uploaded to YouTube. Ultimately, the term hang drum found its way to most English speaking countries and was firmly established on social media. In 2007 PANArt asked several distributors to stop using the term hang drum (to reference PANArt’s Hang) on their websites. The Hang player communities online (hangblog.org and Handpan.org) mostly agreed with PANArt that it should not be called a hang drum. Most members discouraged the use of term and sought to educate the less informed. Professionals in the genre seemed to avoid the term purposely or by habit. Currently, with 7000-8000 hanghang in the world, attempts to eradicate the term hang drum have failed. It is not possible to erase all the YouTube clips that use the term hang drum. Therefore, some people who discover the Hang on the Internet will initially believe “hang drum” is the proper name of the instrument. Consequently, people who know better often use the term online in order to get noticed by those who have just discovered the Hang via the hang drum misnomer. And, there are others who simply don’t care. The everyday person typically defines a drum as a cylindrical or goblet shaped instrument covered at one end with a tightly stretched skin, which is struck with the hand or sticks to produce a booming, popping or tapping sound. 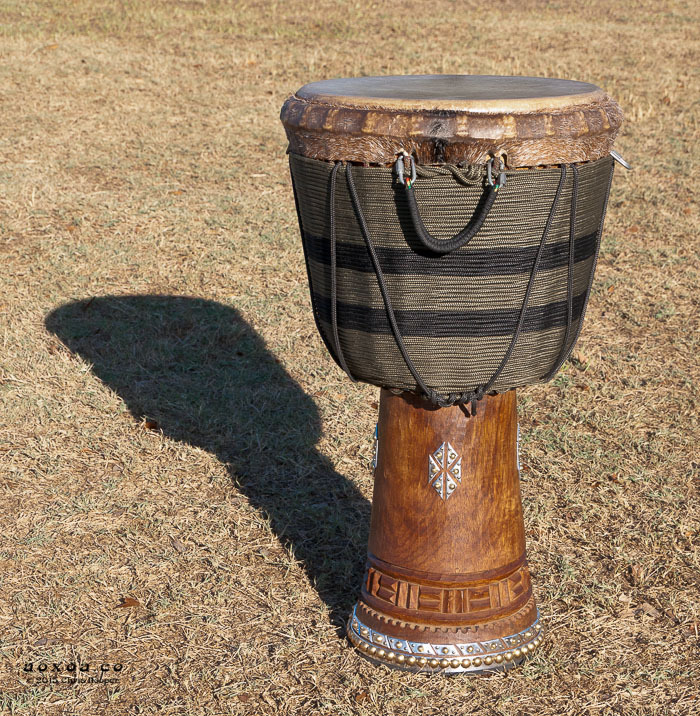 To many people, the term drum implies a heavy-handed playing technique–especially to those who have only been exposed to hard rocking drum sets, African Djembes, Afro-Cuban Congas or wild-cave-man type drum circles. Applying heavy-handed techniques to the Hang is a sure way to de-tune and ruin the instrument. Therefore, in everyday situations, it is not pragmatic to call it a drum. Ethnomusicologists and organologists (people who study musical instruments) use very precise technical definitions. In the scheme of Hornbostel-Sachs musical instrument classification, a drum is clearly a type of membranophone. There is no debate about this. Unlike a drum, the Hang does not fit so perfectly into a Hornbostel-Sachs classification. The Hang is a melodic percussion instrument. Its primary sound is produced by vibrating tone fields described as acoustic membranes. The Hang also vibrates as a whole to produce sound on a secondary, but important, level. The instrument also acts as a Helmholtz resonator. When considering the fundamental acoustic properties, the tone field falls somewhere between a membranophone (same category as a drum) and a idiophone (same category as a gong). Is it a membranophone, an idiophone or does it need a new scientific category? Debates continue, as the complexity of the instrument seems to elude conventional categories. For the everyday person it is sufficient to say the Hang is not a drum. For the technical minded, scientifically speaking person–who is interested in the physics of sound production–the Hang might be more of a membranophone or more of an idiophone. Opinions vary. The Hang is not a drum in the common-sense use of the word. Many people in the USA refer to the steelpan as a steel drum. Naturally, some people get the idea that the term hang drum is derived from the term steel drum. The fallacy revels itself in two ways. First is that the steelpan is not technically or scientifically considered a drum. According to Anthony Achong, Professor at the University of the West Indies (Trinidad), the steelpan is not a membranophone nor is it a drum. Professor Achong is one of the few people that have published scientific studies about the steelpan. “The steelpan is a melodic percussion instrument, consisting of a plexus of similarly prepared shallow shells, which form the notes of the instrument, when properly tuned and excited by stick impact, produce in a dynamic way, a number of interacting or non-interacting mode-localized vibrators. The notes operate as Mechanical Parametric Oscillators (MPOs). The steelpan is certainly not a drum. The notes are vibrating shells, not membrane vibrators. The tonal structure of a note and its frequency or position on the musical scale depend on its form (geometry), note size, thickness of the material, the elastic and material properties of the steel, in-plane stresses, temperature, the boundary conditions, the closeness to harmonicity of its normal modes and the delivery of the stick impact.” (The Theory of the Steelpan. In Anthony Achong (ed. ): Proceedings of the International Conference on the Science and Technology of the Steelpan. Vol. 1, St. Augustin, Trinidad 2002, page 1). Second, the steelpan is sometimes called a steel drum because it was originally made from steel container drums (barrels). Hence, the term steel drum. The Hang was never made from container drums. Steelpans were made from steel drums like this one. Since PANArt’s Hang was a new invention, a generic term for it like “guitar” or “flute” was not established. As other makers began producing Hang-like instruments, the necessity of a generic term became apparent. It was at this time PANArt registered a trademark for the name Hang in order to prevent it from becoming the generic term for these new musical instruments. Kyle Cox of Pantheon Steel first used the term Handpan in 2007. Since then it has become a generic term used for musical instruments that resemble the Hang—especially in English speaking regions. 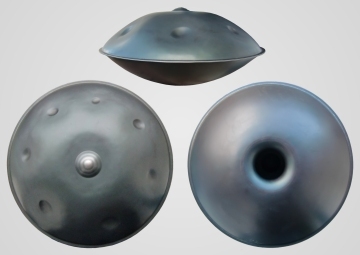 When considering generic terms for Hang-like instruments, there does not seem to be a better or more popular name than Handpan. Most people who are new to Handpans will frequently and unsuitably call it a hang drum. In this case, the term hang drum has little to do with PANArt. Indeed most of these people have never seen or heard of a PANArt Hang—To them it is simply a synonym for handpan because they don’t know better. After reading this article you can understand why many believe “hang drum” should not be used as a generic term for Hang and Handpans. Nice article! 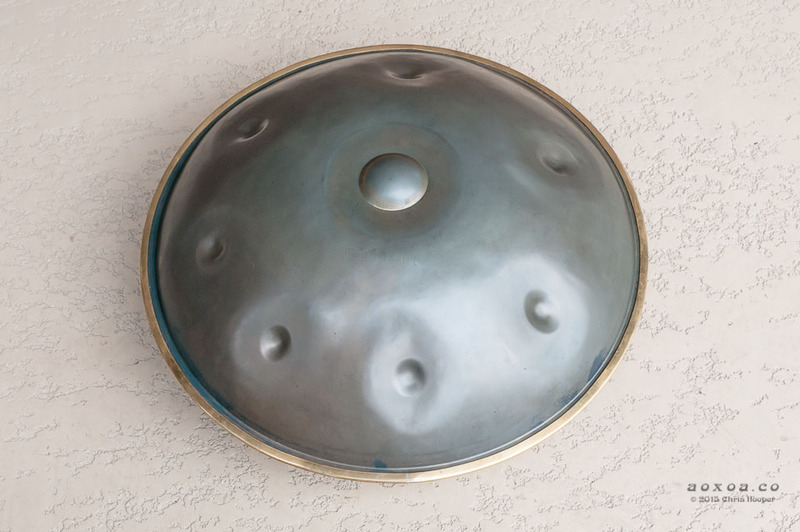 I agree that the term hang drum is not as accurate as something like handpan or just simply hang. On the other hand, I don’t think that the term “hang drum” is necessarily negative. It is the popular name for the instruments, and whatever misconceptions it may encourage about the actual way the instrument works, it seems like a pretty harmless name. Those who want to understand how it works will seek that knowledge on their own. The term handpan or simply hang may be more accurate but really is less descriptive for someone who doesn’t know the instrument. The “drum” part implies something percussive, and that is why I think it gained popularity as a name. The article mentions damage to hangs if played as if it were a drum. I don’t know…if someone wants to play the hang in an aggressive way then more power to them. Anyways no matter what people call it, people will still play it how they want. I loved the way that guy was playing it at burning man – the out of tune notes were a testament to how hard that guy played. And I suppose he wants it to sound that way. PANart can make whatever instrument they want but they seem to have a problem with people who don’t play it the way they think it should be played. 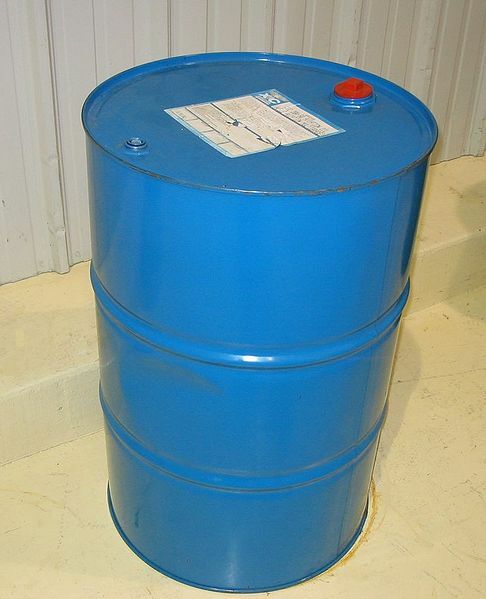 Thanks for your input on the misnomer hang drum….. If we are “the tribe that will shape/create the prevailing terminology”, lets not call it a hang drum. What should we call it then? What’s the “generic” term most professionals and instrument makers seem to agree on? If someone asks me what I am playing, I say it is a Handpan called a Halo, (or whatever brand I have), etc… There is not a consensus on a worldwide “generic” term. In the USA, Handpan is the most popular by far when you exclude newbies. I have yet to hear of a maker who calls it a hang drum. I’ve been building them for half a decade.